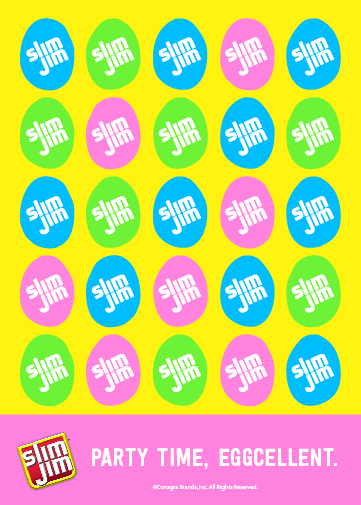 If you’re wanting to skip the chocolate and sugar this Easter, grab a Slim Jim for a pick-me-up boost without the sugar crash. 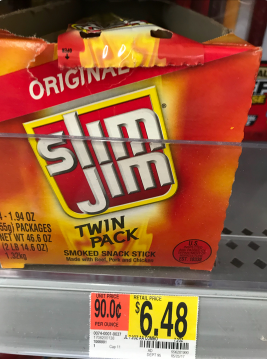 Slim Jims are perfect snacks for on-the-go, so grab an extra box if you’re traveling to visit family. Are you planning on creating travel-friendly Easter baskets this morning? Include coloring books, travel games, plush animals, popcorn or sunglasses. 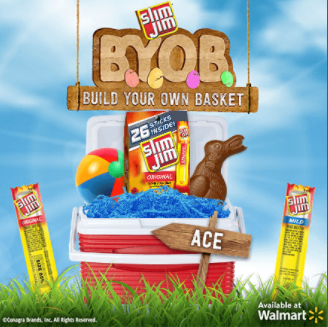 Right now when you create your own digital Easter basket at SlimJimBoldBreak.com and you fill it with family-friendly gifts and Slim Jim gable tops, you’ll be entered to win one of (20) $100 Walmart eGift cards (5 winners will be awarded each week). Share your creation on social media with the unique link they give you and each time one of your friends uses your unique link, you’ll receive an additional entry. 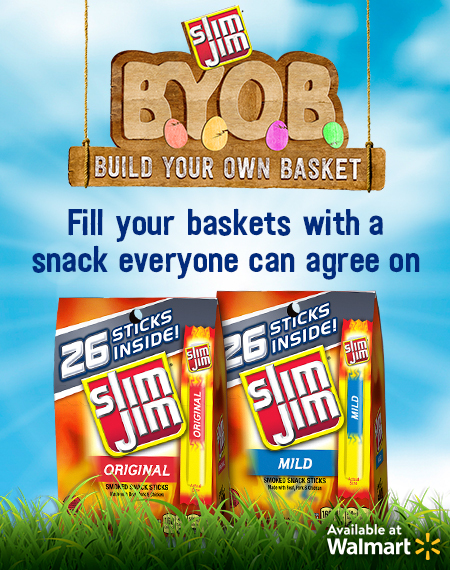 I made my own digital basket to enter the giveaway and it had me dreaming of the beach. I used a cooler for the basket and included a beach ball. What will you be including in your basket? 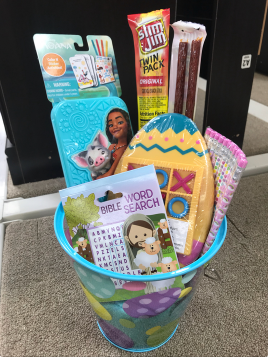 While I was picking up Slim Jim Mild Smoked Snack Sticks at Walmart, I grabbed a few things to make a basket for a travel-friendly Easter. Walmart had tons of options for under a couple of dollars! They even had travel games and Tic Tac Toe.